Are Enough Ethnicities Being Represented In Today's Sportswear Fashion? There's been a recent boom of new British sports and performance wear brands. I couldn't be happier to see British talent showcasing their work to the world and making a real entrepreneurial effort to go up against the bigger players such as Nike, Adidas, Puma and Reebok to name a few. Even the high street brands are jumping on the fitness trend with the likes of Primark and H&M offering their own sports wear lines. We love sportswear here at Food & Lycra - whether it's performance wear or casual wear, you will catch us in some kind of sports wear daily. We take interest in all types, but the one thing that is irking us is the models used to showcase these new brands. I've noticed one up and coming premium sports wear brand in particular who have decided to go more up market with their range. They have great designs but what raises alarm bells in my head is that every model used to show case this brand's work is white. Which makes me question whether this move towards high end sports fashion, that the sports wear industry is taking, will eventually lead to what's happening in the mainstream fashion world. 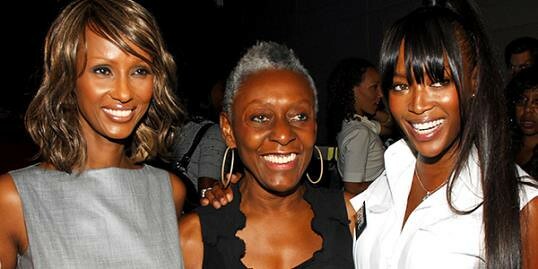 Late last year Naomi Campbell, Bethan Hardison and Iman highlighted the lack of ethnic model representation in the fashion world. 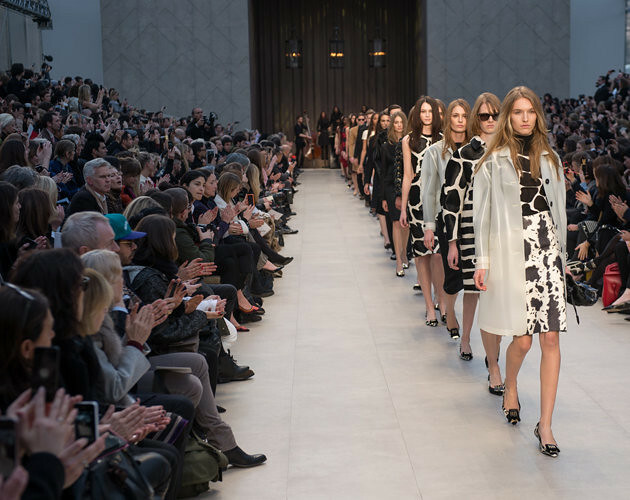 A shocking 6% of models used on catwalks are of ethnic origin. The world's population is approximately 50% Asian so there is definitely something going wrong here. This is an area which I previously never payed any attention to, but once I took a nosey look at some brands and the models they used I was really disappointed. The issue probably won't have a direct affect on your day to day life but the subliminal message is clear. The biggest danger is for young women globally. There is currently a popular and, I find, very strange desire to be skinnier or have a lighter skin colour. I'm out here trying to build some muscles and get a tan *flicks hair back*. These representations of sports models aren't helping the situation, and we wonder why there are global problems with women and men either bleaching their skin and/or suffering from eating disorders. I would hate for the sports wear industry to take the same route as the fashion industry. The big sports brands base a lot of their marketing around the idea of top athletes choosing their brand for better performance. Thankfully athletes come in all different shapes and sizes, and from different backgrounds, so there is a great representation among the top sports wear brands. Sports is one of the few places where people of all different races and backgrounds can come together to either work as a team or compete against one and another. It is where performance is judged alone, not by race or colour. Designers should be careful in how they choose to portray their brand as sports is an area for all races - not just the perception that high end fashion should only be marketed by using white skinny models. If I was to give this brand in particular the benefit of the doubt I would like to say that they had just overlooked this area and paid it no attention. But, to be honest when you are this far in you know what you're doing and you know what "look" you're going for. This responsibility should not be ignored. Next step? Maybe more sports brands will start following a similar route to Reebok's Cross Fit in using more curvaceous/functional models, because let's face it, skinny does not mean fit. Adidas Spring Summer 2014 Photoshoot - Sweat and Style on 'em! Where Will Your Next Run Take You?